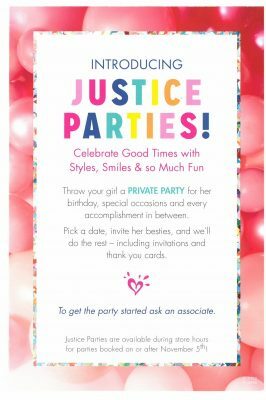 Book a party at Justice! 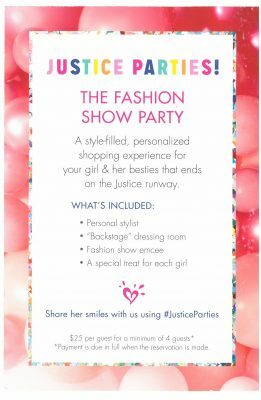 Ready to celebrate good times with styles, smiles and so much fun at a Justice store? Throw your girl a private party at Justice for her birthday, special occasion and every accomplishment in between! Pick a date, invite her besties and we’ll do the rest – including invitations and thank you cards (from $25 per party guest).